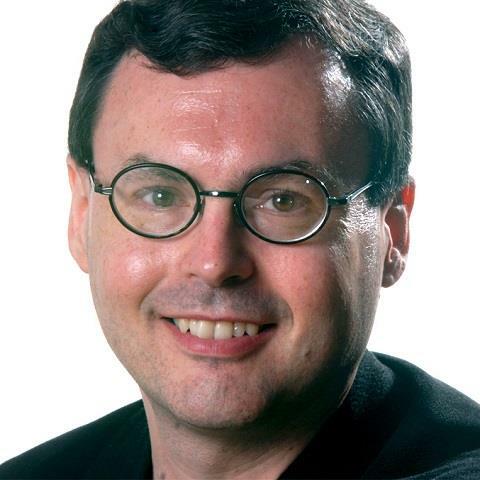 There are still a few bugs in the system — among them the 11-pound robot's waspish personality. As he entered his final month on the International Space Station on Monday, Alexander Gerst could be proud that he's helped given birth to a healthy, if moody, robot. Gerst, a German astronaut and geophysicist for the European Space Agency, or ESA, is commander of the space station's 57th mission. He's in charge of fellow astronauts, including two from NASA, and an 11-pound 3D-printed plastic ball named CIMON — short for Crew Interactive MObile CompanioN. 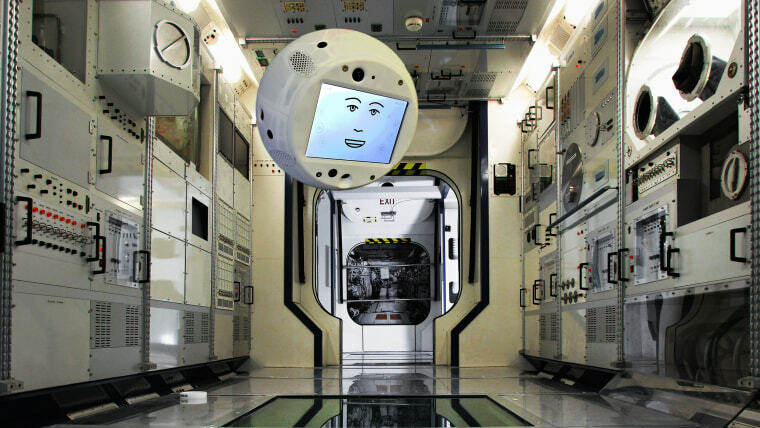 CIMON, which was built by Airbus for the German Space Agency and runs a version of IBM Watson's artificial intelligence, has a video-screen face, along with a camera and a digital voice so it can talk with the astronauts. Eventually, CIMON is intended to display and explain information needed to carry out experiments and repairs. But at this early stage of its existence, its job is to be Gerst's friend. And as is often the case, friends can be a little tetchy. When CIMON was delivered to the space station for its first test run on Nov. 15, it responded to the command "Wake up, CIMON," by asking, in what can only be described as a chirpy drone, "What can I do for you?" In a video published Friday by the European Space Agency and posted to Gerst's Twitter account, CIMON successfully recognizes Gerst's face, turns 90 degrees on command and helps Gerst with an experiment. In English: "Straight out of a sci-fi movie? Not yet, but a successful first technology demonstration of a DLR [German Aerospace Center] experiment, designed to test what future human-robot interaction might look like in space. And CIMON even plays Kraftwerk on command!" That last observation refers to CIMON's dialing up "The Man-Machine," from the album of the same name by the German electronic music pioneers Kraftwerk, when Gerst asks it to play his favorite song. CIMON properly acknowledges Gerst's commands to stop playing music and to start taking video with its front camera. But then it says, "Let's sing along with those favorite hits." When Gerst orders it again to stop playing music, CIMON, sounding somewhat petulant, replies: "I love music you can dance to. All right. Favorite hits incoming." Gerst tries again to stop CIMON from spinning records, to which it replies: "I understood do you like the music. I understand that." Gerst explains to a colleague that while CIMON is properly playing the requested video stream, it's not only "still talking about music," but it's also stubbornly floating back to a position in the cabin that it appears to prefer. "He appears to like the deck position better," Gerst says in what apparently is the straw that broke the robot's back. "Be nice, please," CIMON says in a softer voice. A moment later, it asks, "Don't you like it here with me?" "Don't be so mean, please," it says, before observing, in a fashion eerily reminiscent of the HAL 9000 computer in "2001: A Space Oddysey": "Oh, dear, I feel you. I can already hear your stomach roaring. Should we take a look for when it is time for food?" Gerst remarks that CIMON is "a little bit sensitive today" before shutting down the test run. A goal of CIMON's creators is for it to show some personality, and Gerst concludes, "That's really a great demonstration." The ESA agreed, saying in a blog post that "Cimon's developers and Alexander hope to see Cimon back in action again soon." "While no further sessions are planned during the Horizons mission for the time being, it could mark the beginning of exciting collaboration between astronauts, robotic assistants and possible future artificial intelligence in space," the agency said.